Yeah, I got nuthin. 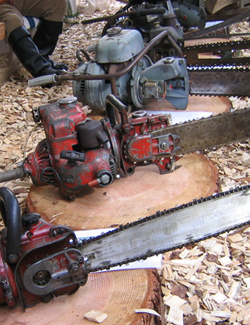 But chainsaws. Why hello there! Would you like a podcast? Because we have one! The story of this podcast is thus: Basil was super busy and did not have to plan or assemble a normal OSMcast, and so enlisted the mightiest warriors from throughout the land. And ended up with John and Dylan from the Chainsaw Buffet. And as we had more Buffet than OSM this time, the podcast runs the gambit of wild and crazy things such as TV shows, anime, table top gaming, and more. It’s a cornucopia of a scattershot of topics that will be sure to please one and all. LOOK YOU ARE LUCKY TO GET A PODCAST, ALRIGHT?! We’ll try to get some time cues in here, but no promises.